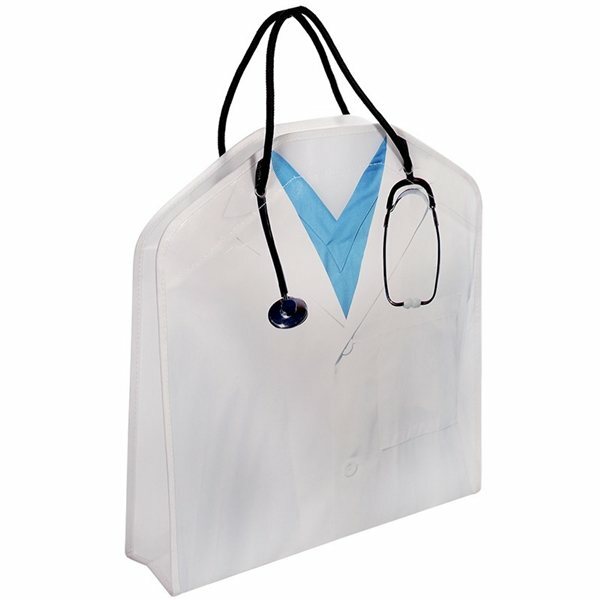 100GSM laminated non-woven fabric with imprinted lab coat and stethoscope graphic. All of the nurses loved these bags!! The printing came out perfect and they arrived quickly. Rosa was great ! these products are proving to be a great giveaway for our business. They are a little smaller and thinner than I expected, but they work well for our purposes. Veronica was a fabulous person to deal with. She was very professional and patient when I wanted to make several changes. Her response time to my calls was excellent. the size was perfect for what we needed. I think it's a great product and would like to purchase it at some point for a future event. It was easy to carry and distribute at a local parade. print quality of the logo is very nice!